Tis' the season for loving our family and friends through the spirit of giving! This year HYD suggests a gift for the home. We've found gifts for everyone on the list from homeowners, renters, folks with roommates, and little ones too. And as always, we love to hear from you, so please add your suggestions as well! A book for the "perfectionist, renter, single girl, newly married, empty nester, mom with littles or for anyone waiting on the next house who secretly hopes that it doesn't have to be perfect to be beautiful." -The Nester (Myquillyn Smith) We love how Mrs. Smith gives great tips for any dweller, whatever their season of life or living. She gives such practical, realistic, and yet beautiful ideas for the home. A great way to keep warm in your home this winter. Gather your roomie, your kids, or just enjoy the quiet as you hunt for the right piece. This small company out of Nashville creates beautiful puzzles that are works of art as well. Such a fun gift for all ages! Available locally and online at Rala. 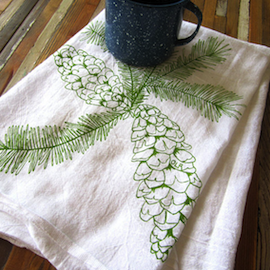 Anyone can use a fresh set of napkins or a new tea towel this holiday. Mighty Nest offers several colors and creative graphics made from organically grown cotton and printed with non-toxic water-based inks that make wonderful gifts. And for all you parents, grandparents, aunts or uncles, this is a gift that keeps on giving as Mighty Nest donates up to 15% of purchases towards the school of your choice! So a candle might not be the most creative gift, but this is no ordinary candle. 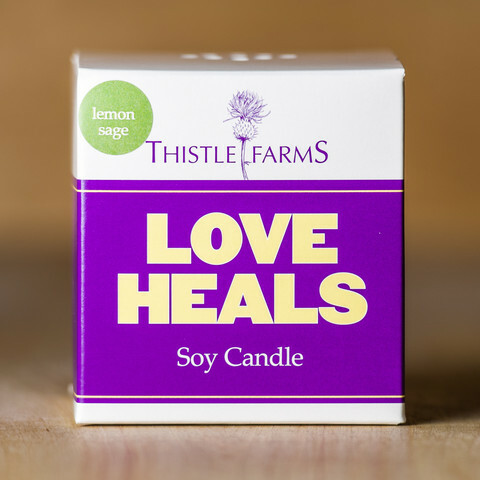 This is a handmade soy candle made by the women of Thistle Farms. Not only does it smell wonderful, it represents the light of hope for so many women trapped in addiction, prostitution, and trafficking. "This product bears witness that love is the most powerful force for change in the world." --Thistle Farms, a community of women survivors of addiction, prostitution, and trafficking in Nashville, Tennessee. Not sure what to pick for that special someone? Choose a great gift for your loved one that lets them pick for themselves! Bliss Home, with two locations in Knoxville and one in Nashville, has all sorts of locally made, creative, and unique home decor items that inspires as you shop. For the local folks, this Knoxville tradition since 1955, continues to offer some of the most well-grown, beautiful, and unique plants in our region. The staff is incredibly helpful and knowledgable as well. Find that special Poinsettia, indoor plant, or accessory for anyone on your list and bring a little life and color to their Christmas! This handmade wall clock instantly brings a pop of color and eye-catching beauty to any home. So many fabulous styles to choose from that we had trouble choosing which one to post as the photo! We love how unique this gift is for young and old alike. Get the kids in your life excited about hanging up their coats with these super cute cast iron moose wall hooks. These would be perfect for any kids' room, mudroom, or playroom. These aren't your color? Check out the Etsy page to find lots of other options too! Give a gift that's one of kind and beautifully handmade by the very talented Leslie Eaton of Peppered Paper. Once again, so many wonderful prints to choose from that we just had to pick one to show off. With guitars, insects, furry animals, and lovely flowers, there is sure to be just the print you're looking for! And of course, the gift that keeps on giving, a HYD gift card. Let us serve your loved one by organizing, purging, staging, packing for a move or home decor work. The consultation is free so your money goes directly towards the work we will do for them.